this is one of the best places to taste... anything! Meals are prepared according to the simple principle of traditional cuisine, using seasonal produce from the region.  Entire process is enriched by current world gastronomic trends and the original recipes of Ján Adamík, Gino Park Palace’s energetic and creative master chef. Meals and snacks are served at the restaurant, café and lobby bar with a summer terrace in the courtyard, and also at the lounges, ideal places to sit down privately with family or meet with business partners. 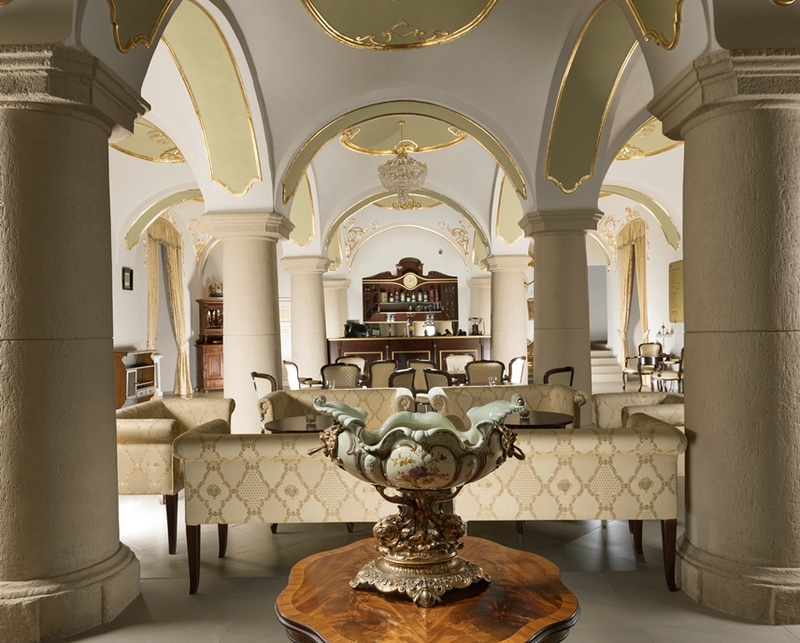 The manor’s 17th century rooms and fantastic kitchen guarantee that you will be satisfied and have an experience you will want to enjoy again and again. Current Slovak and international gastronomy, made up of traditional ingredients in a modern design. 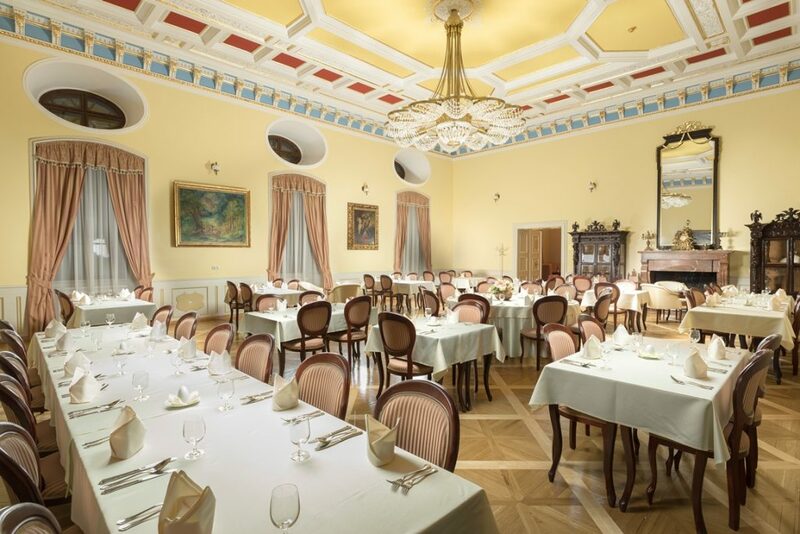 The spaces of this 17th century mansion and excellent cuisine are a guarantee of satisfaction and experience that you will want to experience again. The airy dining room is dominated by a crystal chandelier and the original, richly decorated ceiling, which suitable space even for large events, wedding receptions and other major events. The Gino and Balassa lounges are situated on each side of the dining area. The café is the place to go for excellent Piacetto coffee and homemade desserts. It offers a wide selection of Slovak and foreign wines, premium Erb beer and other alcoholic and non-alcoholic beverages. The lobby bar is close to the reception desk in the manor’s Baroque hall. Together with the summer terrace it creates a space where anyone can sit down and enjoy a snack or talk with friends. It is also available for banquets and receptions for any occasion. 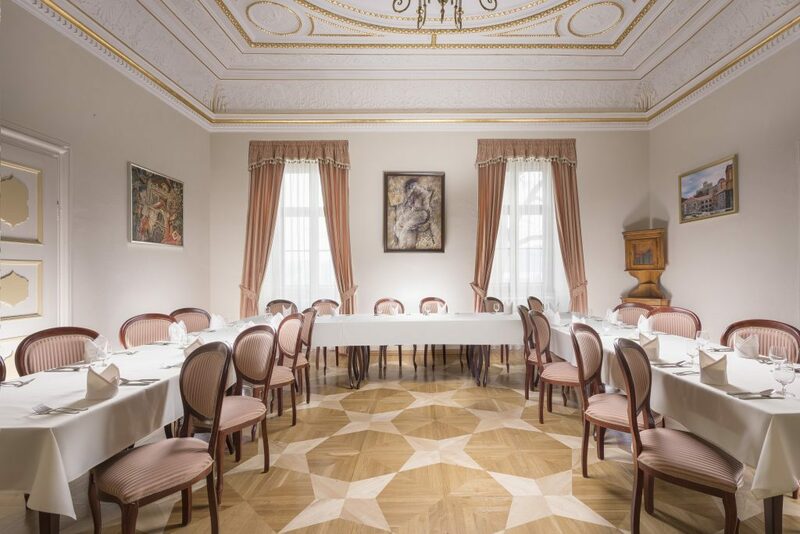 The lounges with their richly adorned historic ceilings are to connected with the restaurant dining area and also have their own entrances, so they are the ideal venue for organizing private family events or business meetings. 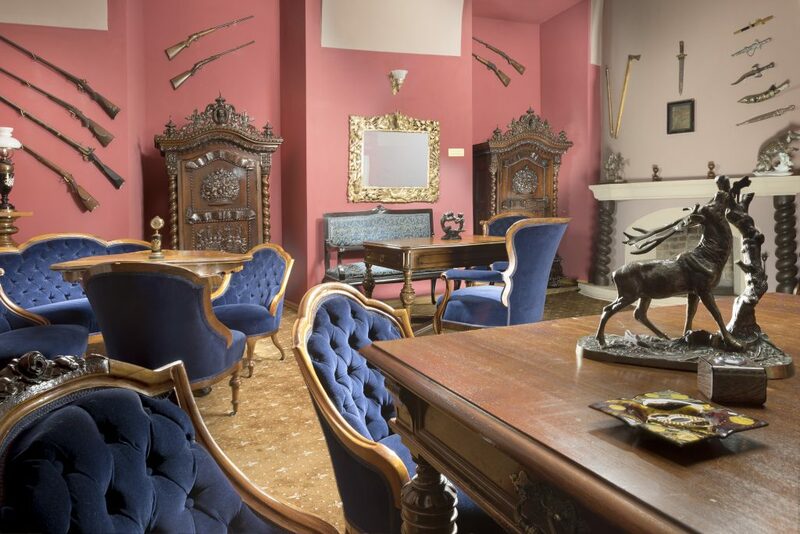 This traditional men’s lounge offering cigars and high-quality spirits, also exhibits hunting guns. It is a popular room for formal and informal meetings behind closed doors. 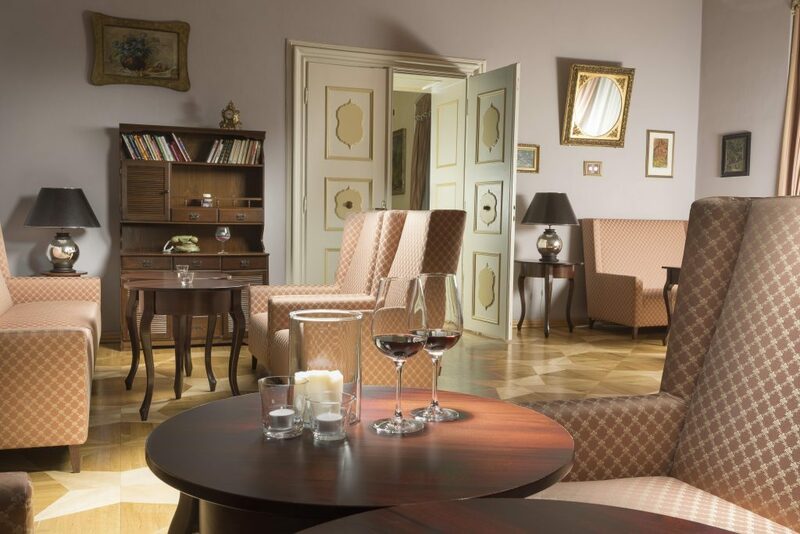 Treat yourself to the relaxed atmosphere of the stylish restaurant of the historic manor house. The meal is prepared from fresh ingredients and served from 11:00am until 3:00pm in the restaurant. Dear guests, we present you the latest a la carte, which is precisely assembled with the unmistakable handwriting of our chef and in conjunction with fresh ingredients and elegant service creates a perfect gourmet experience.